San Diego State Football bested Fresno State Friday, defeating the Bulldogs in their own stadium 17-3 for the first time since 1997. The Aztecs’ record stands at 5-1, the first time they’ve gotten off to such a great start since 1977. 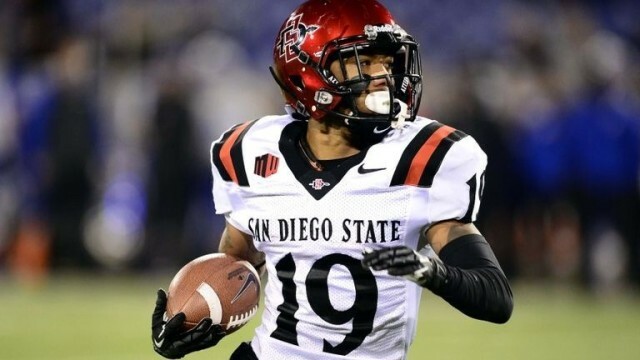 The win – to no one’s surprise – is thanks to Donnel Pumphrey, who ran for 220 yards with two touchdowns. He’s now one TD away from tying Marshall Faulk for the all-time Aztec lead. In addition, he’s passed six people for sole possession of eighth all-time for FBS rushing yards with 5,383. Pumphrey also had more yards than Fresno’s entire offense; the Bulldogs totaled just 217. SDSU now has a 13 game winning streak against conference opponents, the longest such stretch in college football. They’ll look to continue that next week against the 1-5 San Jose State Spartans.